Creative marketing combined with proven marketing tactics will always rule the day. This month, we show you a roundup of reader favorite blog posts, several ways to get clever with your campaigns and how to repurpose your content. Leveraging mobile, social and location-based approaches and powered by data and insights are required, if your brand is going to thrive in 2014. Agile marketing is now a common approach and includes a healthy loop of building, testing, measuring, learning, refining and improving. This is a must read when creating your marketing plans for next year. Google is launching new social ads that are composed of Google+ content and can be promoted across its display network. It takes a lot of time and effort to create even one piece of great content, where smaller pieces like blog posts and checklists can take a few hours. If you plan strategically, you can repurpose your ideas so that one marketing message can be presented and distributed across many pieces of content. This master website marketing checklist covers over 400 specific items through 23 topics, including website development, SEO, usability, accessibility, etc. Sometimes you need to discover first what to do with a website, so you can then understand how to market your product or service. There are over 500 million registered Twitter accounts, 300 million active monthly Google+ users, and 1.26 billion Facebook users. Add to that the 150 million people that are active on Instagram in any given month, the 70 million on Pinterest, and the 238 million members on LinkedIn and it’s no wonder finding influencers is a bit like playing “Where’s Waldo?” Not to worry – we’ve made it easy for you to find influencers with three tools we love. Read on. TopRank has covered a variety of topics in depth over thousands of posts, especially the integration of search, social media and content with marketing and public relations. It’s been a top ranked marketing blog on AdAge 150 from day one and is the only blog to have been named the #1 content marketing blog 3 times by Junta42 (Content Marketing Institute). We’re proud to say this roundup garnered the highest traffic and most engagement for December. Read more. 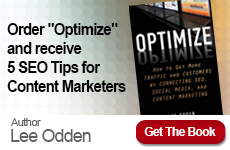 2013 has been a great year for content marketing. 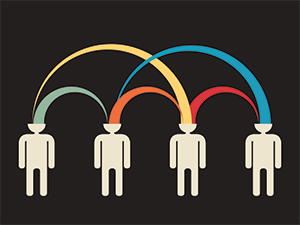 Savvy marketers have come up with new, unique ways to create bonds with their audiences, encouraging interaction and ultimately intent to purchase. Viral has become a buzzword that many strive for, yet few achieve. But regardless of how frequently online marketing changes, one thing will remain the same: brands will continue to use stories, interaction, and creativity to attract customers. 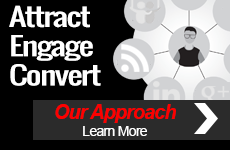 See what creative, clever online marketing tactics our TopRank team members voted up in 2013. Press releases represent a great way to engage in inbound marketing. No longer do you have to rely on a constantly churning media list to secure coverage and visibility. Today, your press release has thousands of opportunities to make a lasting impression online. A consistent public relations program (that might include press releases) will help build general awareness of your product, service or brand and will supplement any direct marketing and advertising efforts. Read more about the pros and cons here. Taking a trip in the Wayback Machine, blogger Paul North identifies Lee Odden as one of the first to blog about SEO evolving with social media in 2006. You can read his prescient article and comments here. This online PR news site featured top 10 ‘selfies’ of the world’s best communicators and PR pros. Lee was one of them along with industry heavyweights, Brian Solis and Mari Smith. In an article entitled, “7 Effective Ways to Market Your Business Blog,” Lee Odden gives advice on using social proof to further build your subscriber base once you’ve reached a milestone, such as attracting 1,000 subscribers. – Lance Leasure, from What Do You Get With A Social Media Audit? Congratulations again, Lee, on a very successful 10 years — and on this roundup, which highlights just how successful your 2013 has been! I’m beyond honored that my work has been featured on TopRank. It has definitely been a highlight of my 2013 🙂 Sending you all my very best!